Hello. It something like this. 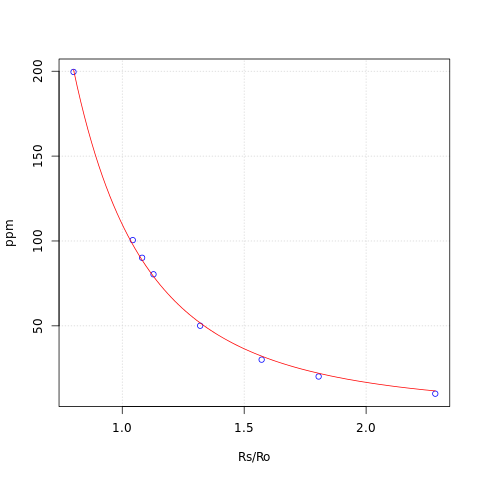 You can use the R script to get the "a" and "b" factor, and also the Ro value by reading the resistance of the sensor (heated up for a few hours) at a know value of ppm. Then you can upload all to Arduno. By datasheet the sensor did consisten readings after 24 hours although it may takes just an hours to get good reading to me. Hello, Ro value is derive by the "a" and "b" factors for you gas curve, and the know amount of gas "ppm" reading the sensor resistance "Rs", in other words solving the formula: Ro=Rs*(a/ppm)^(1/b). 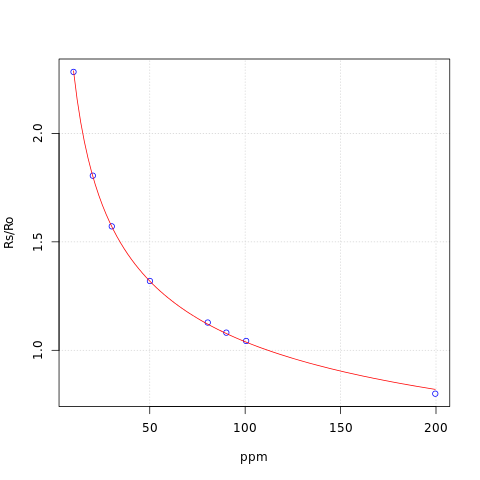 How to measure "mres" or sensor resistance at a known amount of gas for example 408 ppm of CO2? Hello, to understand how resistance measuring works using the ADC of your micro, read the adafruit blog post link posted in my comment above. Said this, the voltage you are going to read on your ADC pin will Vo=R/(R+Rpd)*Vcc. I'm going to use an ADC Ref Voltage of 5V. From datasheet MQ135 will output value from 30k to 200k Fixing a 22k Rpd, we get on our ADC pin voltage between 2.9V and 4.5V, which is a good enought range (with ADCRef of 5V you can read between 0V..5V. You can "extend" this range of course using other Rpd. Hello Sir, can you explain how to find this values below ? Hello Raka, you can take a look at the blog description above and the related video, it's all there. Hello, it really depends on which gas are you trying to measure. For CO2 it was quite simple https://www.co2.earth/, for other gases, you must have a calibrated sensor or a tricky way to get a know amount of gas. How to get the value of RO = 41763 ? Hello, look at my reply "June 13, 2017 at 7:51 PM". How did you determine the RL value of the sensor? In the datasheet it says its adjustable and the sensor I have does not have the 6 pins but is attached to a blue sort of board and has 4 pins. 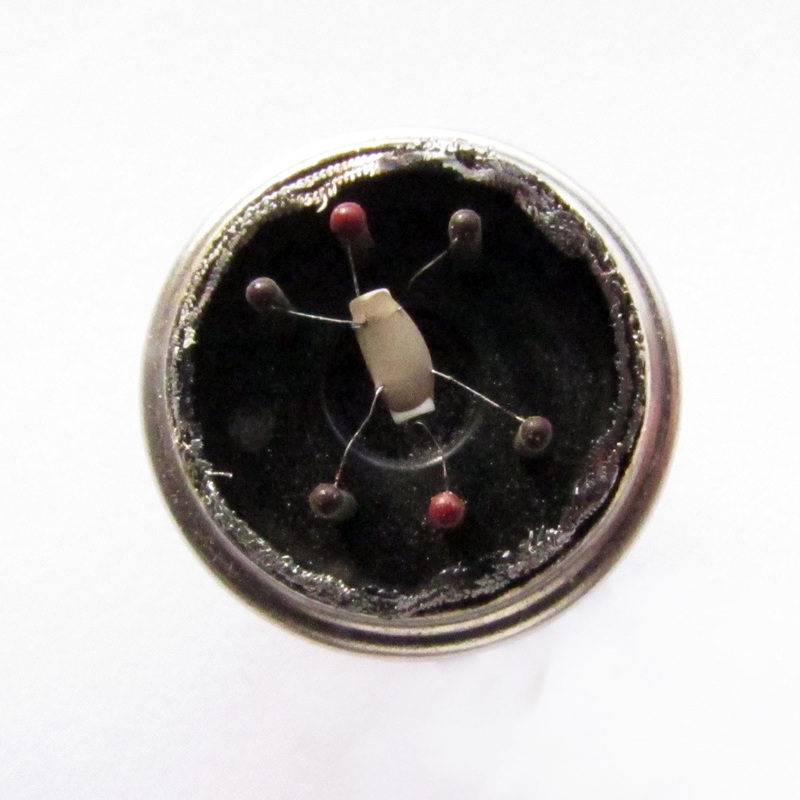 I have no clue on how to determine the RL or is this an exterior resister I can add myself to the A0 to the Ground? Hi, first of all thanks for this nice article! I bought the following mq135 module: http://www.ebay.de/itm/MQ-135-MQ135-Air-Quality-Sensor-Hazardous-Gas-Detection-Module-For-Arduino-AVR-/172115034015? I (kind of ;) ) understood all the calculations but I am not sure how to set up the values from the module. Hello and thank you. You can use the sketch provided in this post as a starting point. Hello sir, I want to ask, is the program code can be used for sensor MQ-7? Hello, yes. The MQ-7 follow the same principles of this sensor. You have just to built up the conversion points, and the compute factors for the sensor you are using and the gas you would like to trace. Sir, why after I follow the above steps, but does not appear the ppm value in view? Hello, at first you have to check it out the factor you have found by simply reading the resistence of the sensor with a multimeter and applying the conversion formula with the factor values found. 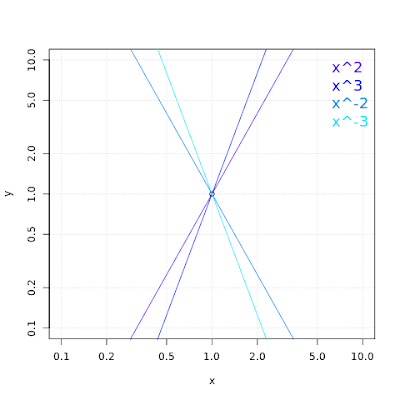 For CO and MQ-7 of course you can not use the a,b Ro value that I provide as sample, but you have to find your how using the method of this blog post. Hello Pedro. Thank you for your feedback and thank you for sharing your results here. Congratulations for your thesis. I am having hard time for converting analog data from Aurdino sensor to ppm. I am using MQ131 ozone sensor. Can I apply same steps shown in this blog for MQ 131 sensor? Hello, yes you can apply all the proposed steps, but for calibration you have to know the O3 ppm and of course the resistance of the sensor. Do we measure the resistance between "ground pin" and "analog pin" in the sensor to get "mres" if we know the value of ozone ppm? Hello, power up the sensor header (one Hpin to GND, the other to VCC), then read with a multimeter the value between A and B pin. Start with a multimeter and a spreadsheet, then you can go through a microcontroller. Hi Davide, I am working with ozone sensor and i could not understand how "long rS = ((1024.0 * mqR) / adcRaw) - mqR;" came in the formula. 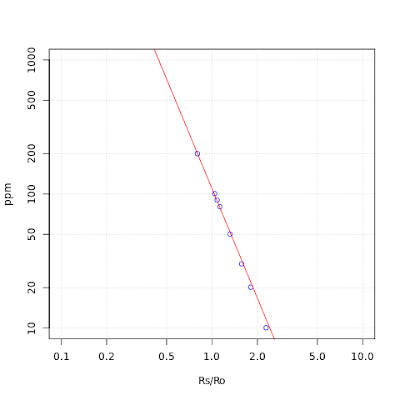 I am using the same formula as in your blog, just changing the values and I am not sure if it is correct because it does not match with the photometric ozone analyser that we have in our university. I was wondering if you can explain "long rS = ((1024.0 * mqR) / adcRaw) - mqR;" line in the formula. Hello, that is the ADC raw value to resistance value conversion formula for a 10bit adc. Take a look here: https://learn.adafruit.com/thermistor/using-a-thermistor it may help. I am working with MQ-4 sensor. In your video at 3:08, you mentioned a value of 26954 ohm at 392 ppm. Where did you get that value? 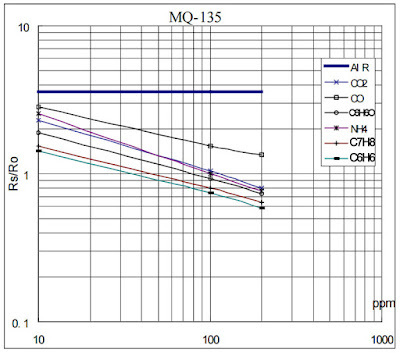 How can I get this value for MQ-4 sensor to calculate methane in ppm. You help would be highly appreciated. Hello, you have to measure the resistance of the sensor between A and B pin when it's in a know amount of gas. In my example it was in 392ppm of CO2, and i measure 26954ohm. You have to put your sensor in a know amount of methane and measure the resistance of it, please be carefull with CH4. 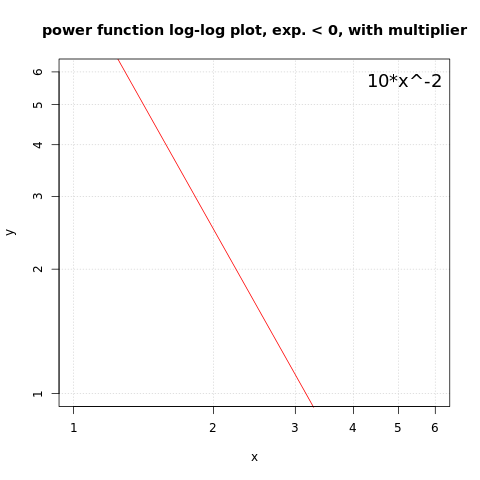 If We use the values obtained from graph provided with datasheet with the help of WebPlotDigitilizer, Will it not be sufficient to get ppm value with marginal accuracy? which are sufficiently close to those you're reporting. The problem is that i am obtaining Rs/Ro values around 7 and they continue incresing (now they are around 20) thus going further from the maxRsRo = 2.428. Of course the result is an "out of range" message. 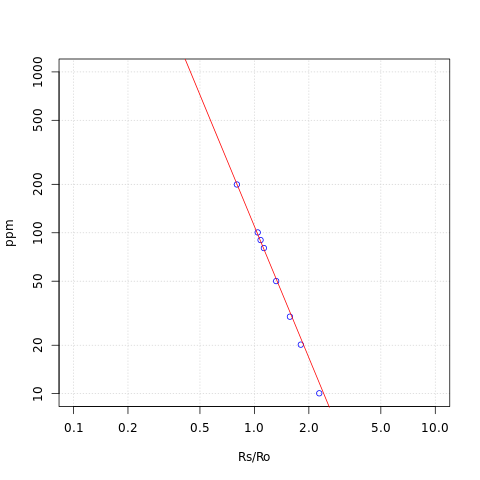 However, i also performed the same process using the values of r0, a and b that you are using. What are the chances that I am doing wrong? Hello, at first connect you sensor and measure the resistance of the sensor using a multimeter. Then check that your resistance value measured on your micro is almost the same. You should get a resistance value on range, if not it could be your sensor. A valid resistance should be something around 30K. My question is regarding the why's and how's of the adc and pull up resistor wiring configuration to get a reading for mrcs and mppm. I read through the link you've included and am still a little lost. Second, the configuration I'm using is a resistor that goes from the power rail to the 5V input on the mq sensor. this resistor is in series with another resistor that is connected to the A0 pin on the sensor. Am I close to correct configuration or completely off? Hello, the pull up it is used to read a resistance, here is the MQ resistance. We need the sensor resistance cause we use it to calculate the ppm. You can experiment heating the sensor up with a power supply between H pins, and then read the resistance between A and B pin using a multimeter, the resistance you read should be the same that you observe on the microcontroller side. Here you can find a good explanation on the pullup resistor usage and reason for use them https://electronics.stackexchange.com/questions/70009/why-use-a-pull-down-resistor-with-a-ldr-and-microcontroller . I really do not understain to much of your circuit, there should be no resistor in series to to me, you circuit should look like this one https://www.elprocus.com/wp-content/uploads/2016/05/MQ-%E2%80%93-135-AIR-QUALITY-SENSOR.jpg. Thank you for your reply, I figured out the confusion! My sensor is attached to a small carbon board that has a pull down resistor inside of it already. The board consists of 4 pins A0, G, D0, and V. The configuration is straight forward, and the measured resistance of the sensor will be taken from the A0 pin using R2 = (Vin/Vout-1)R1, when R1 is 10K potentiometer on the back of my sensor's board and R2 is the resistance of the sensor. Well done Shaboopy, good work! i want to ask sketch , Can i know sketch gas NH3 mq135 for arduino ? Hello and thank you. 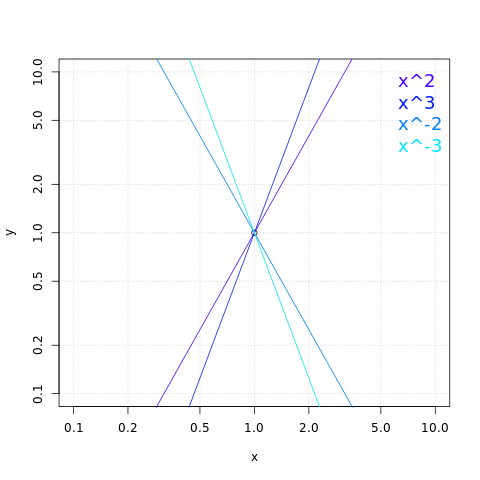 The sketch could be the same of the CO2, what's change are the a, b factor and Ro value. 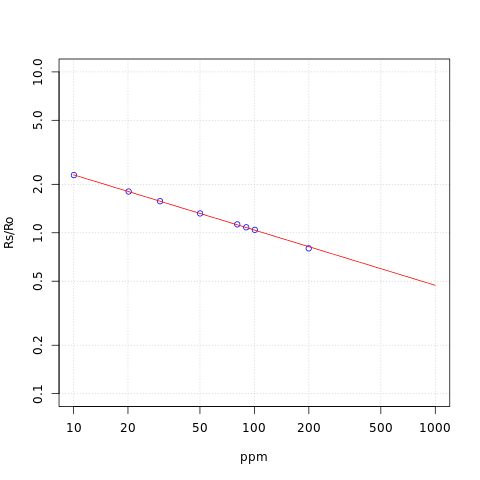 You can find the a and b factor using the method proposed here in this post, you can even use the Ro proposed here for CO2 but it would be better if you find the NH3 appropriate one using a know amount of NH3 and the method proposed. Hi Davide, thanks for the super complete explanation on this sensor! I just successfully managed to reproduce your setup using a pre mounted board named FC-22 with the MQ135 on it. The board comes with a pull-down resistor of 1k and some other features for digital reading. I would like some help regarding my readings. My Raw measurements tend to fall between 36 and 40 on a closed environment. For these values I get between 374ppm and 504ppm. It seems the ppm values vary too much for very small changes on the raw readings and since raw data can range from 0-1023 it's an indicative the precision is not very high. Are my readings close to yours? Is there any way I could try to increase precision with this sensor? Hello and thank you. 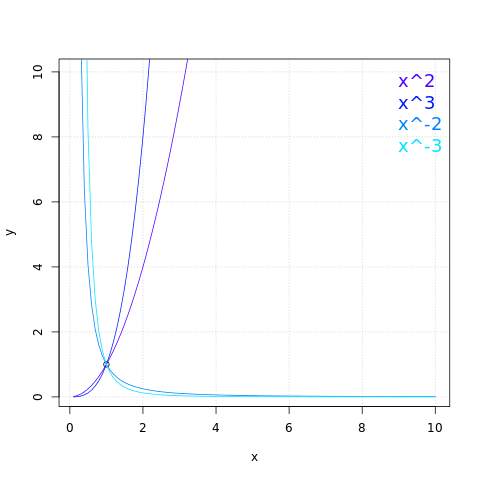 Yes, the correlation formulae it's pretty sensitive to slow raw changes, due to the conversion factors. 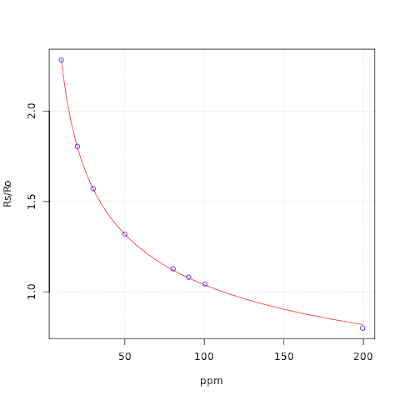 You can make it a little better correlating it to a NDIR sensor, but to me this is not usefull, I mean, this sensor is a eltectro/chemical one, you can use it to get a ~pretty~ accurate values, for more you need to get to NDIR. Hi Davide, i kinda lost here but how do you know if an air quality is considered as "good" or "bad"? do you know how to measure the range between "bad air", "normal air", "good air", and "dangerous"? Hello, you can not consideder "good" or "bad" air just with one sensor of course. But you can take this sensor and consider an evironment not good it CO2 is above 1800ppm as example. hi, i have a question, why ro is 41763, thanks for your answer :) !! Hi sir, I am using the mq135 sensor as a smoke detector, is there a simpler way to convert the analog output from the sensor read by arduino to show the present of smoke?? im still quite unsure about the raw reading from arduino, what does the reading represent? Hello, the MQ135 is not a smoke sensor. You can use it as a smoke sensor, but something like the MQ2 is preferred. Instead of using the correlation function you can set a thresold on the ADC raw value you read on your Arduino. You can also use an opamp as a comparator, and set the threshold for your smoke detection. I would prefer to write in Italian, but my vocaulary is just not enough :-(. I was in Milan last time in October and enjoyed the wonderful Panzerotti at Luini´s - I just love them !!! 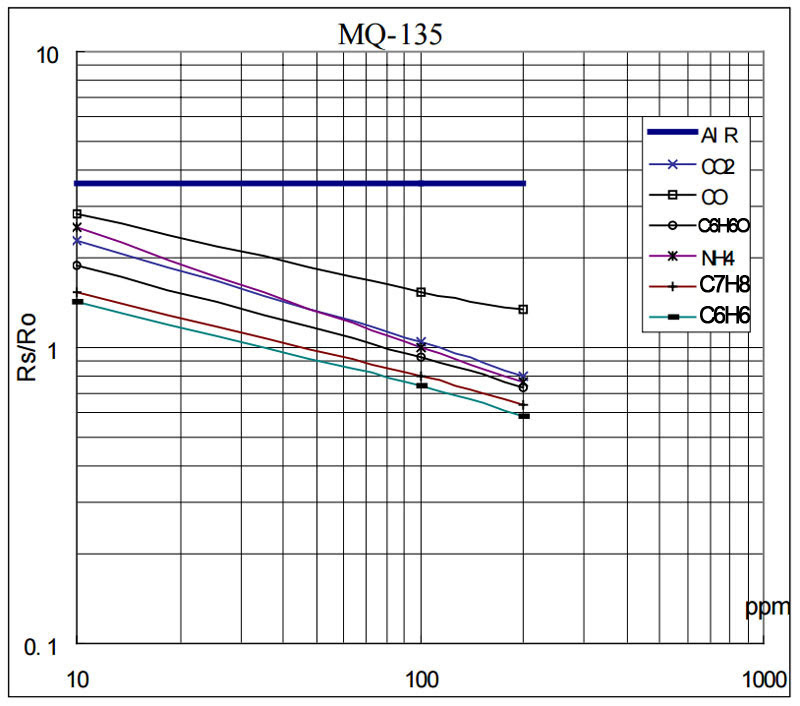 I am trying to make an Ethanol-sensor with a MQ3. My goal is to make vinegar and therefore, if the alcohol content is below 0,3 Vol. I need to add more alcohol so the bacteria can continue working. The normal working temperature is at about 29°C, so I need to adjust the temperature correction as well. Do you think it´s possible to use your formula twice in a Sketch ? 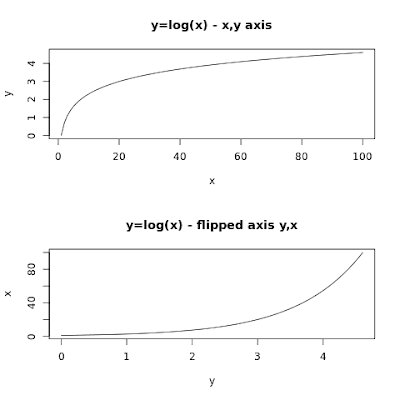 So, in the first part, the analog input is read and adjusted by the log-value from the sensitivity table. 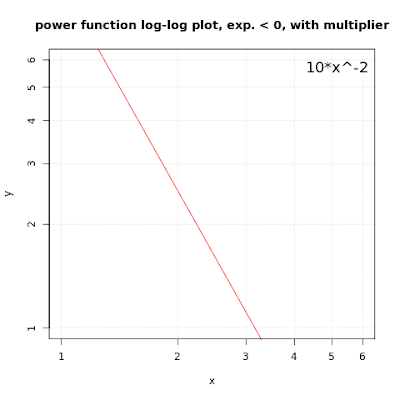 This output becomes the input of the second formula, adjusted by the log-value of the temperature table from where I can use it to- for instance - switch some digital pin on or off. I hope, I could make myself clear enough ?!? If not, don´t hesitiate to ask. Hello and un saluto da Milano! 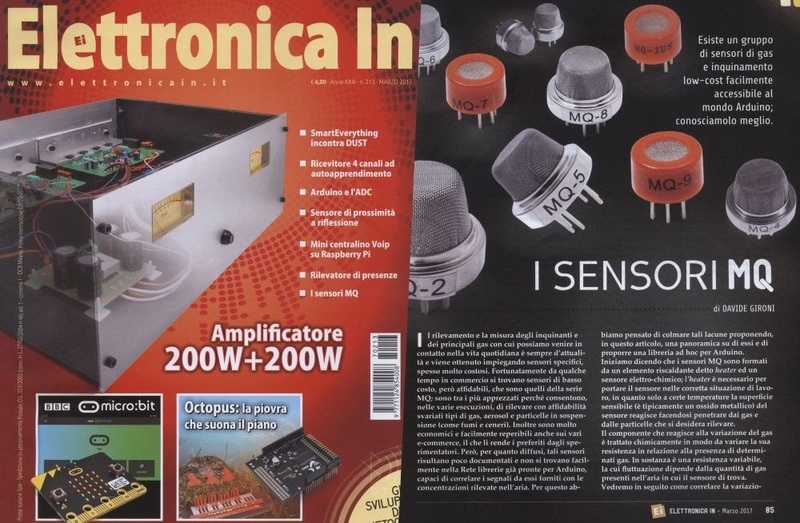 As you already post below, i've write a post about temp and humid correlation on MQ sensors here: http://davidegironi.blogspot.it/2017/07/mq-gas-sensor-correlation-function.html. I just found out, that you have done it already in another post. I will try and install that in my system. I tried to put your sketch into the arduino IDE, put the folders adc, dht, mq and uart into the sketch folder (as they are ?!?) but I get a lot of uart errors "undefindes reference. I checked some of the files and it looked as if they should work on all Arduinos. did you program it for use with an Uno and do I have to change some pins ? I do have an Arduino 2560. Hello, for Arduino you do not need the adc folder and so on, cause that are for plain avrgcc complier. On Arduino i suggest you to use the Arduino framework functions to read resistance https://www.arduino.cc/en/Tutorial/AnalogInput and the a DHT library for external temp and humidity. Hello, you can use the Axel Benz Formula: Rref=sqr(Rmin*Rmax). Rmin and Rmax can be taken by datasheet sensing resistance or making some test. In my case I do an analysis reading CO2 then i chose that resistor. Hello, check the resistance of the MQ sensor using e a multimeter, then do the math on Excel, it may be the ADC conversion. i have got the value for coefficients a and b also minRsRo and maxRsRo but when i try with code and above formula i get wrong value. would you help me sir? Hello, you have to find the issue is, so to get the resistance of the sensor, when powered, by using a multimeter, and use excel to resolve with your parameters, then debug the code by using uart output. But how to know the amount of gas that I calibrate against sir? and how to get the ppm for each gas I calibrate against if I wanna measure CO2 and NH3 for example with the same MQ135 I'm using? Hello. You have to calibrate it using a calibrated meter to know the amount if gas﻿. As example for NH3 the calibrated daltonengineering Ammonia meter 43011. For CO2 we almost know the amount of that gas in open air (https://www.co2.earth/). Unluckly that kind of meter are not cheap. But, you can calibrate it against CO2 that's almost free. 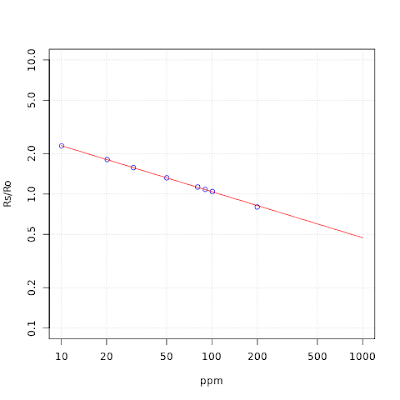 Then correlate the NH3 function against the CO2 calibrated one. This trick is not really accurate, but form those kind of sensors does the job. Also, please do not make multiple post with the same question over different pages. why do you use 22k with the datasheet parameters that are corresponding to 20k? In my case I have a RL of 1k, this because I use the sensor module. Should I recalculate the parameters for my RL? or can I use those from the datasheet ?. Hello, read my comment here: April 30, 2018 at 10:02 AM. Hi sir, the R-Fiddle tht you upload no longer can be used. Hi sir,in step to read the value of resitance when the co value at certain ppm is already entered in calculation step like arduino code above or just reading ppm value like analog sensor in general? Hi, Its impossible to run r-script now via online compilers I cant read r language can you advice how to run your r script ? before I was using it via 1 online compiler and it was working great but now some functions it cannot find then is complaining about something else. I have a MQ136 and it is attached to a board. I take it the blue dial controls the resistance. Is there a way to use a meter to measure the resistance of that dial? I’ll attempt to find the a and b values as you instructed, but I’m not sure where this dial fits in, even if I could read it.